Listen to the broadcast recorded on February 26, 2018. We’re celebrating the 165th anniversary of Steinway pianos with six LIVE broadcasts from the WRTI 90.1 Performance Studio by Steinway artists. Our series takes off in style on Monday, February 26 at 12:10 pm with a performance by Eric Fung. WRTI’s Kevin Gordon is host. Watch it LIVE on the WRTI Facebook Page! Eric plays the “Overture” from J.S. Bach’s Overture in the French manner, the first movement of Mozart’s Sonata in A-minor, the Intermezzo in A-minor of Brahms and Debussy’s “Le Vent dans la Plaine”. 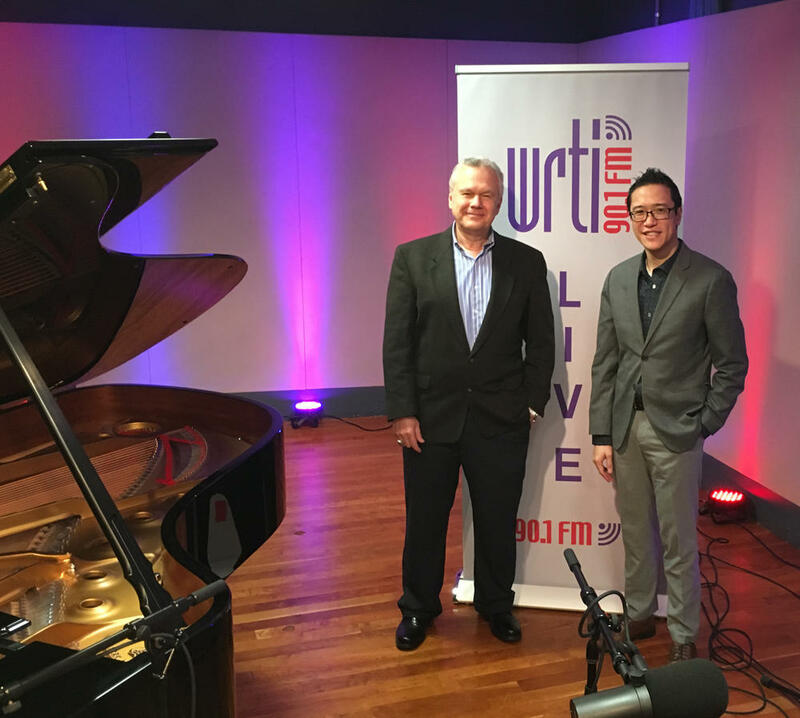 WRTI's Kevin Gordon with pianist Eric Fung. Eric won second-prize at the Thirteenth International Johann Sebastian Bach Competition in Leipzig. 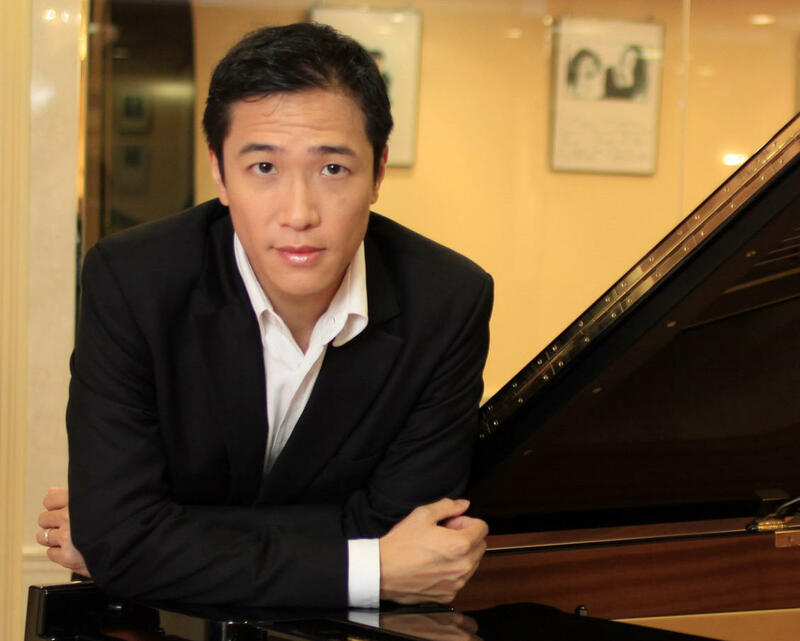 He has played at Carnegie Hall and Lincoln Center, the Philadelphia Bach Festival, the Israel Festival in Jerusalem, European Piano Forum in Berlin, the Puigcerda Music Festival in Spain, the Kamerman Piano Series in Pensacola, the Lancaster International Piano Festival, and the Hong Kong Arts Festival. Besides being associate professor of piano at Lebanon Valley College, Eric has taught master classes across the U.S. as well as in China and Israel. Eric’s doctorate comes from the Juilliard School, with degrees from the Eastman School of Music. He’s in demand as a competition judge in the Delaware Valley, too, having judged the Lancaster Symphony Concerto Competition, the Greater Princeton Steinway Society Scholarship Competition, the New Jersey Music Teachers Association Piano Competition, and MTNA Competition. *Special thanks to Jacobs Music for making our "WRTI 90.1 Celebrates Steinway" series possible.